"Where's The Orchestra?" is one of Billy's finest songs. It is a wistful and philosophical song about life and about arriving as an adult, only to find that there is no music, no orchestra. At the end of the day, after the closing lines and curtain calls, the curtain falls on empty chairs. As Billy states: "It's basically, on one level it sounds like a guy sitting in a theater, figuring he went to see a musical and it turns out just to be a straight play, and he's saying, 'OK, I got it, I hear the dialogue, I see what the actors are doing. Give me a song. You know, entertain me.' And it's sort of a symbol for, you know, you get to a certain point in life and you go, well life isn't a musical, it's a play. And it sort of seemed to sum up the album. I understand, da da da da da, I paid my dues, right and, this is the way life is, but... where's the orchestra?" See blog post by Cosmic American. 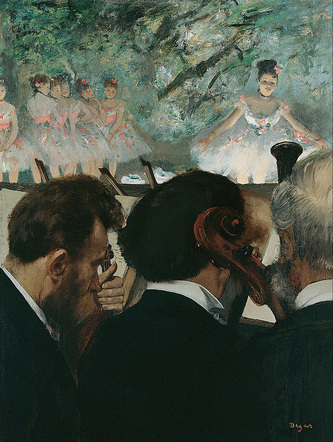 Edgar Degas' "Musicians in the Orchestra" (1872). Musically the song has a wistful almost elegiac tone; Billy himself has said that it reminds him of Harry Nilsson's music. The song was recorded by Billy without his regular band, but instead with a chamber orchestra led by a conductor, with a cello, clarinet, accordion, and saxophone (Eddie Daniels), and Billy on the piano. The recording was also done to separate the stereo playback so that Billy's voice is separate from the orchestra, which is appropriate given the title and theme of the song. At the end of the song, the opening strain to "Allentown" comes in again, tying the whole album together. In a live version from MTV's Night School in 1982 (see video below, right), Billy goes right into a few bars of "Allentown." 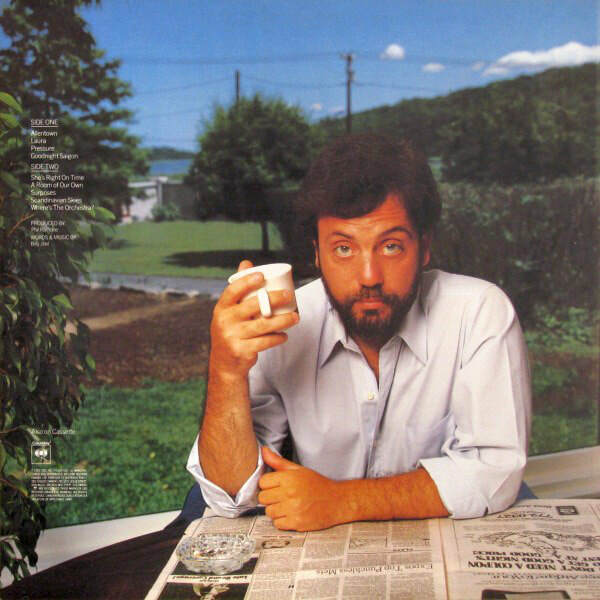 For serious Billy Joel fans "Where's The Orchestra?" represents the best of Billy Joel, music and lyrics that complement each other and take the listener to another place and inside one's self. It is an appropriate ending to Billy's most ambitious album. 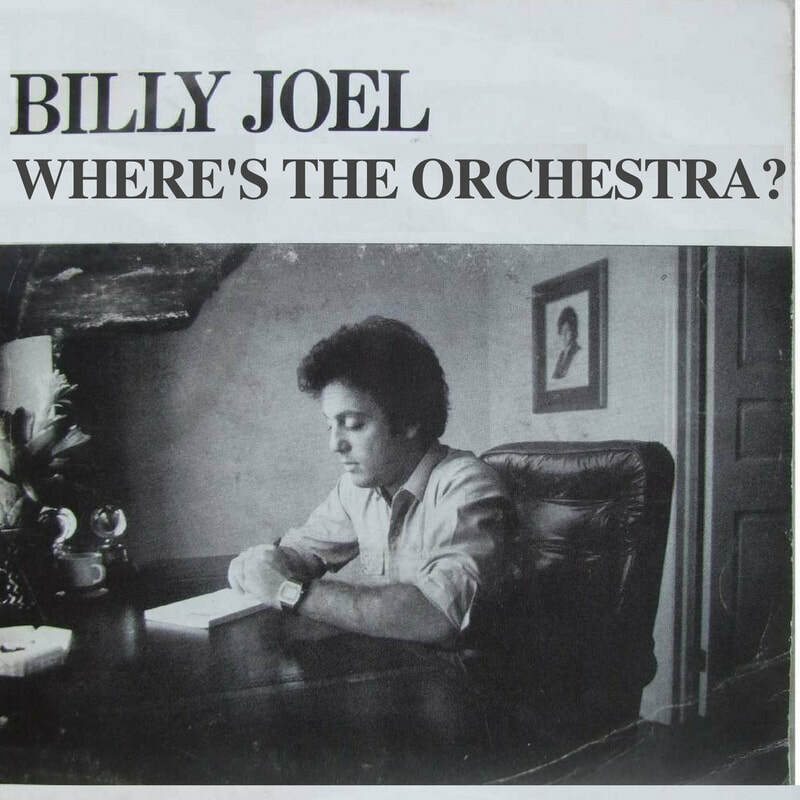 One expert on Billy Joel, Christie Brinkley, has said that "Where's The Orchestra" was her favorite Billy Joel song (not "Uptown Girl"). Good choice. A fan video of "Where's The Orchestra?" that consists of this single enigmatic photo ​by Chris Buck that appeared in Blender Magazine. Read the story behind the photo. Song is © 1982 Sony Music Entertainment. Billy sings "Where's The Orchestra" on MTV's Night School (1982).